All photographs offered for sale are "Gelatin Silver" (also known as "Silver Gelatin") prints. 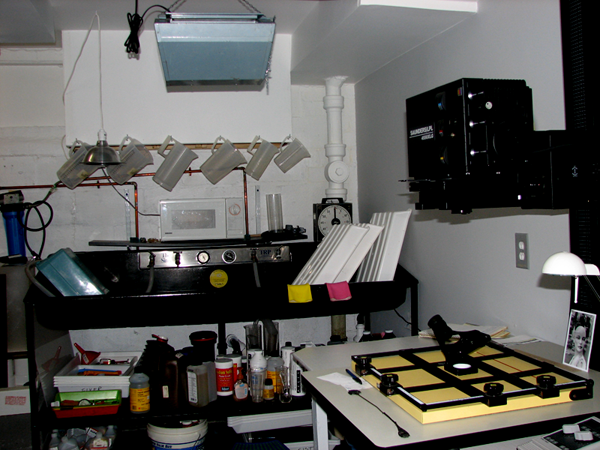 This means they are traditional (not digital) photographs, and they are printed by hand, one at a time, in a black & white darkroom. All prints are on fiber-based paper, which has superior longevity, and are then put through a double-toning process in order to minimize tonal shifts due to exposure to light, environmental pollutants, etc. All mixed-media photo collages use pieces of the prints described above, affixed to acid-free supports with acid-free adhesives. All mats are white, 4-ply, and acid-free.